Nostalgic Wheat Harvest Postcard Graphic! 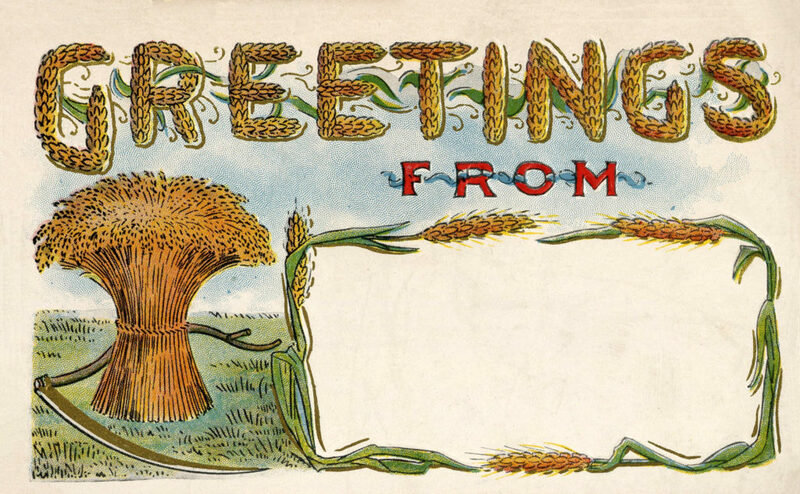 Today I’m sharing this Nostalgic Wheat Harvest Postcard Graphic! 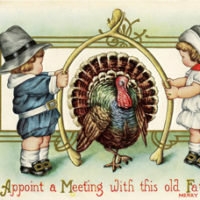 This image of a fun old postcard, in shades of green and gold, has a large framed area for writing a note. It has a bundle of wheat, a scythe, and says, “Greetings from.” So nice to use on your Fall Table as a menu card or place card! « DIY Botanical Labels or Tags – Free printable!